About the Author | First State Press - Author John Micklos, Jr.
John Micklos, Jr. is an award-winning education journalist and the author of more than 35 books for children and young adult readers. John’s most recent books include Beach Fun: Poems of Surf and Sand and The Sound in the Basement, two picture books published by First State Press. In September 2017, Penguin will publish One Leaf, Two Leaves, Count with Me, a bouncy new picture book that teaches kids to count while they learn about the seasons. Look for it in bookstores and online. It’s already available for pre-order here. John also contributed to National Geographic Kids’ best-selling book, 125 True Stories of Amazing Pets. In addition, he has written many books for Capstone, covering the Lewis & Clark expedition, the 1918 flu pandemic, the Challenger disaster, the Alamo, the Pony Express, the Civil War, the War of 1812, the Navy Seals, the Harlem Hellfighters, the Northeast Region, the Southeast Region, and others. John’s other nonfiction books include a six-book series about the Revolutionary War for elementary students, as well as high school-level biographies of Muhammad Ali, Elvis Presley, Amelia Earhart, Jennifer Hudson, and Jerry Spinelli (all published by Enslow), an elementary-level biography of Alexander Graham Bell (published by HarperCollins/Time for Kids), and a middle-level biography of Leonard Nimoy (published by Dillon Press). In addition, John is the compiler/author of four poetry picture books about families. Titles include: Daddy Poems, Mommy Poems, Grandparent Poems, and No Boys Allowed: Poems About Brothers and Sisters (all published by Boyds Mills Press). John has done K-12 school visits in Delaware, Pennsylvania, Texas, New Jersey, Indiana, Texas, and Maine, speaking on topics ranging from poetry writing to crafting nonfiction to principles of journalism. He has spoken at the national conferences of the International Reading Association and the National Council of Teachers of English, as well as at state conferences in New York, Pennsylvania, New Jersey, Maryland, and Delaware. 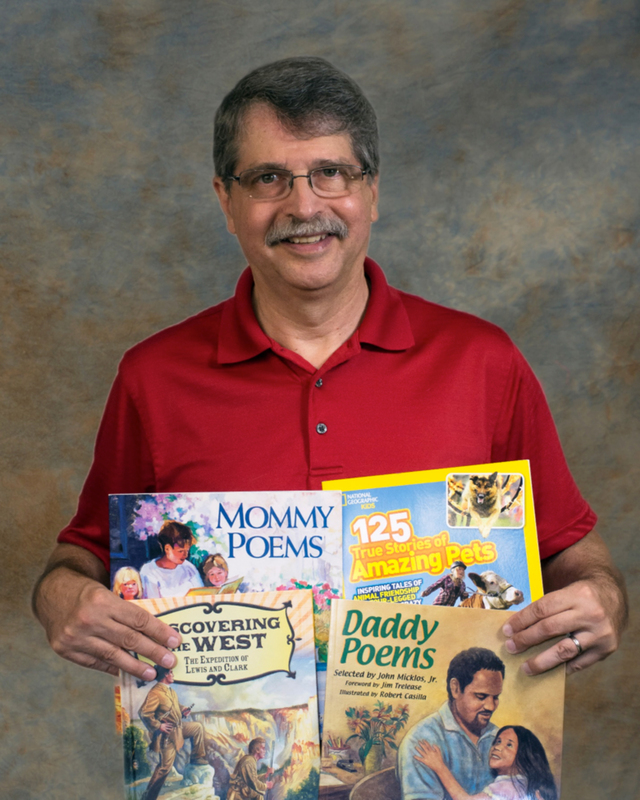 The former editor of the International Reading Association’s award-winning newspaper, Reading Today, John’s work has appeared in publications ranging from Highlights and National Geographic Kids to Modern Bride and The Elks Magazine. To learn more about John’s books, school visits, or conference presentations, visit JohnMicklosWriter.com.